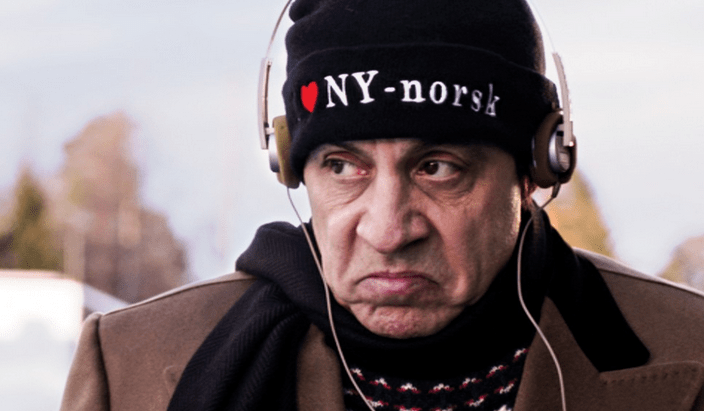 Quirky Norwegian series Lilyhammer begins on SBS ONE later this month. This 8-part series ranked as the most-watched show on Norwegian TV and it tells the tale of a New York mobster hiding out in the town he remembers from the 1994 Winter Olympics. It stars Steven Van Zandt from The Sopranos, who also plays in Bruce Springsteen’s E-Street band. Mafia underboss Frank ‘The Fixer’ Tagliano (Van Zandt) is forced to enter the witness protection program after testifying against his associates. He is given a new identity and relocated to Lillehammer, a town of his choosing after being intrigued by the area when watching it on television during the 1994 Winter Olympics. Lillehammer is a sleepy town in Norway, where cultural differences soon become apparent. Frank has visions of a paradise of “clean air, fresh white snow and gorgeous broads”, far away from the temptations of the Big Apple and from mob hit men. The reality turns out to be spectacularly different as his attempts to settle in include bribing a government official, romancing a fellow newcomer and hunting a deadly wolf. After being targeted by mob boss Aldo Delucci, Frank ‘The Fixer’ Tagliano testifies against the mob and is relocated to Norway as part of his deal. Becoming the Norwegian citizen Giovanni Henriksen, he soon meets his new neighbour, the chief of police, and clashes with his new country’s bureaucratic culture. After having met “Little Steven” back in the 80’s along with Kathleen Turner(Arguably the most Beautiful women in Hollywood……then) it is very hard for me to wrap my head around these two even being from the same species let alone same people. I watched “Sopranos” for 3 years before realizing it was Van Zandt and as far as Turner goes seeing her in Californication was near enough to make you cry and the best advertisement for women not to abuse alcohol there has ever been. Heard nothing but good things on this one. Was a hit on Netflix in the states. Yay! Looks like a suitable replacement for Prisoners of War. Can also be pretty confident that if SBS say “8:35pm”, it will start at 8:35pm.